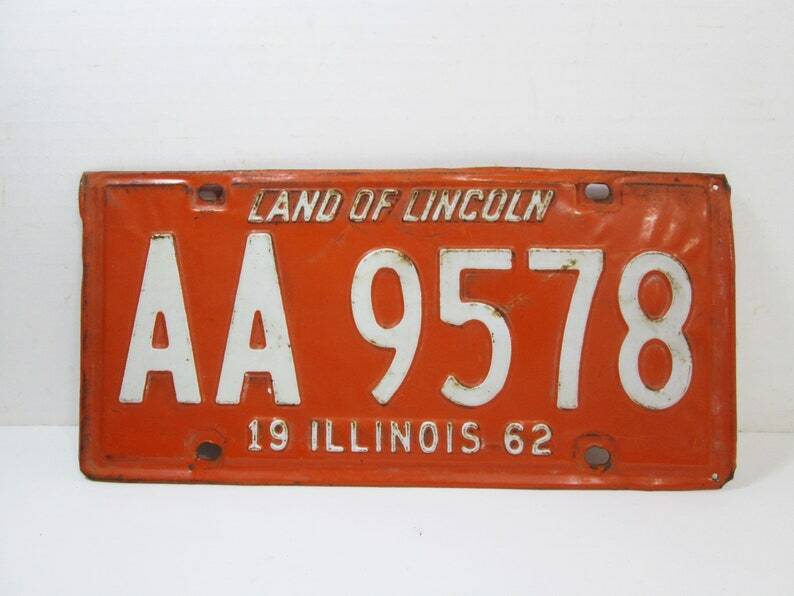 Vintage Illinois License Plate 1962 orange and white metal license plates. This is in used condition with rust, bends and holes. Please look at the photos. Orange background with white numbers. Classic vintage with great colors!! Heavy steel construction. The plate measures about 11 and 7/8 inches across, by 6 inches in height. This would make a fine addition to your vintage license plate collection! !